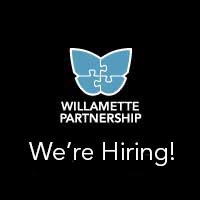 Willamette Partnership’s news, events, and expertise on smarter infrastructure, working lands conservation, and conservation for community resilience. Browse by the post tag below or scroll to read our most recently published stories. 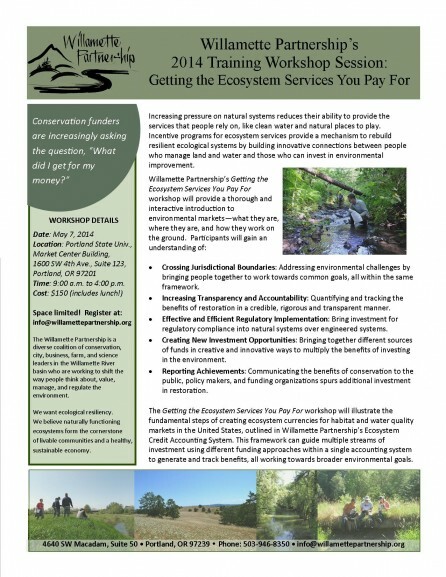 Conservation funders are increasingly asking the question, “What did I get for my money?” Join Willamette Partnership on May 7, 2014 for a dynamic training on Getting the Ecosystem Services You Pay For. We’re hiring an ecosystem services specialist to join our Resilient Habitats Program in Portland, Oregon. Stay connected with our latest news.